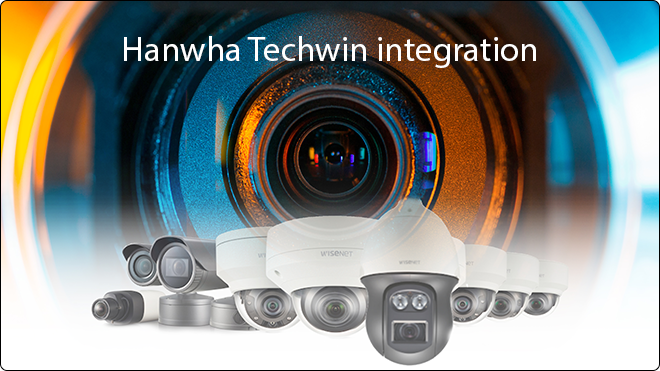 We discussed the importance of combining video event management software and video surveillance security cameras when we announced our integration with Hanwha Techwin’s Wisenet 5 chipset in September 2017, but now, we’re taking it one step further: the entire range of Hanwha’s Wisenet devices is now integrated within Arteco NEXT Video Event Management Software (VEMS) and includes embedded video and audio analytics applications. This heightened collaboration enables the comprehensive management of Hanwha’s Wisenet solutions in terms of events and features, including 4K Ultra HD video streaming and recording. Combining the two technologies allows users to gain enhanced intelligence and situational awareness, ultimately increasing overall security and saving operators time and effort. The partnership also focuses heavily on a prominent industry trend and incredibly valuable piece of intelligence: Big Data. The Wisenet III and X camera series are fully supported by Arteco Analytics Extreme through a set of video analytics plug-ins designed for security and retail purposes, such as people counting, intrusion, loitering and a range of additional dedicated algorithms. And integrated within Arteco NEXT and Arteco Marketing Platform, users can obtain unprecedented levels of information gathered into user-friendly and simplified platforms. Other features of the integration include device identification, audio management and edge recordings, which allow video stored onboard Wisenet cameras to be easily retrieved and viewed. Arteco NEXT also supports Wisestream technology, reducing the impact on network bandwidth and requiring less storage, allowing for ultra-detailed video imagery. The integration is made possible through Arteco’s Open Connector, which consolidates events from third-party devices and presents them within the Arteco VEMS interface, and benefits users in a wide variety of markets, such as Safe City, critical infrastructure, education, logistics and retail. We know that taking advantage of both video management systems and surveillance cameras is critical to ensure protection in today’s world of evolving threats, but adding in analytics through Arteco’s latest integration with Hanwha can provide a deeper degree of data assimilation and create a stronger security solution.